The image of an engaged classroom could lead to thoughts of impeccable silence, independent work that is visibly being completed and possibly cordial conversations about the topic at hand. However, a learning environment that displays motivated students who are enjoying the process of learning may look quite different. Passionate discussions about personal experiences that relate to the topic of study may be taking place in one corner; students exploring their environment with a specific purpose may be seen around school premises, as well as students seeking for materials that will assist them in representing their understanding. To achieve these experiences teachers require to consider and promote instructional strategies that aim towards developing students’ autonomy and at advocating for their commitment to learning. 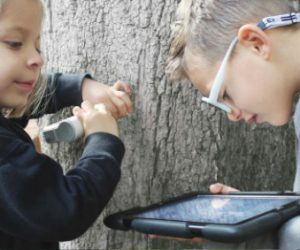 Planning learning experiences where students’ interest, confidence and self-sufficiency fill the air with the magical love of learning is one of Eton’s main priorities, as we set out to guide every one of our students to reach high levels of engagement.